It is crucial to know how to start taking Zoloft properly because of the complicated steps involved in taking it. When starting Zoloft, there are certain precautions to follow to make sure the medication works well. There are also several habits and medications to avoid before and during medication. What to Know Before Taking Sertraline? What is the Best Time to Take Zoloft? What are the Other Zoloft Precautions? Before starting Zoloft, it is essential to talk to a doctor or a health professional first. This step can make sertraline usage safer for a patient. It is inappropriate for some specific groups of patients to take Zoloft. Taking more sertraline than required may lead to an overdose. Taking Zoloft as a patient above the age of 65 could have some severe consequences. 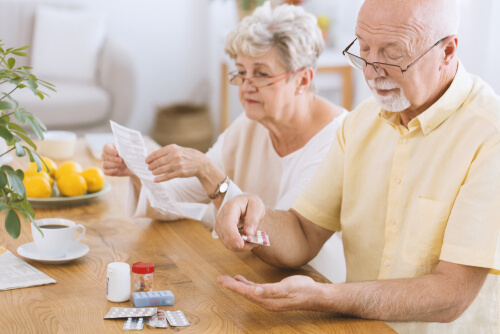 The study by the US National Center for Biotechnology information found out that bone fracture or exhaustion may occur as a result in older people starting Zoloft(Sertraline). Taking sertraline during pregnancy can be dangerous. It may cause lung problems or complications in newborn babies. If a patient becomes pregnant, it is advised to let a doctor know immediately. She should not stop or start taking Sertraline during pregnancy without a doctor’s advice. Antidepressants can be dangerous to young people the first time they start taking it. They can have serious thoughts about suicide, so family members should be on alert when they are taking Sertraline. Also, sertraline can affect the sexual lives of the patients. Treatment progress or any of the symptoms mentioned should be checked at a regular visit to a medical practitioner. Do not give sertraline to children younger than 18 years old without first consulting a medical doctor. According to the FDA study, sertraline is suitable for treating children with OCD but not for depressed children. Some medicines can disrupt the intake of sertraline leading to dangerous serious conditions. Patients should inform a doctor if they are taking any other medications before taking sertraline. The best way of taking this medication is by following Zoloft instructions on the prescription label. Also, a doctor can sometimes change a patient’s prescription or dose depending on the assessment of their medical condition. When prescribed, it is vital for the patient to follow the prescription keenly without taking in larger or smaller quantity. Also taking sertraline for longer than recommended could lead to weight gain. A patient can take Zoloft medicine with or without eating, but it is also advised to take it at the same time each day. When taking the oral suspension, use the dropper provided to measure the required dosage and mix it in a ½ cup of water, lemon soda, lemonade, ginger ale or orange juice. Stir very well before drinking. Do not mix until the patient is ready to drink the mixture even if it looks hazy. Make sure the entire dose is taken by adding little-recommended liquid in the same glass, shake gently then drink immediately. Avoid mixing Zoloft with any other liquid than mentioned above, especially grapefruit juice. Grapefruit slows down the ability of the gut to process Zoloft, so there is a possibility of increasing sertraline in the blood. Don’t eat grapefruit while taking sertraline medicine either. This could lead to several Zoloft side effects like increased heart rate, nausea, and sleepiness. What Is Zoloft Starting Dose? Prescription of Zoloft varies For people with different disorders. It is advised to follow a doctor’s prescription or the directions on the label. If a patient misses the required dose of Zoloft or forgot to take Zoloft, it is advised to take it as soon as possible. If it’s near the next dose, the missed dose can be skipped then continue at your next dose regularly to avoid double dosing. It is possible to snort Zoloft, but it won’t be as effective as taking it orally. Such consumption also not recommended by FDA experts. Snorting a drug gives it quick access to the brain and may lead to Zoloft high, but with occasionally deadly consequences. It can damage your body in short-term or long-term use just as snorting crystalline substances. This includes the general effects and damages done from the psychoactive or systematic use of drugs. Snorting Zoloft has not been deeply studied by experts, but reports from people proved this to be very dangerous. The side effects associated with snorting Zoloft often include irritability in the nasal cavity, bruises in the nostrils, pains that last for about an hour or more, infections in the nasal cavity, seizures, symptoms of serotonin syndrome, etc. Most people are confused about the best time to take Zoloft. Zoloft can be taken once a day either in the morning or in the evening. When taking Zoloft, it is essential to keep a constant schedule. Take Zoloft at the same time of each day to ensure that you have the proper amount in your bloodstream. For example, it can be taken immediately after brushing your teeth every morning. To ensure more accurate timing, a patient can set a daily alarm to remember when to take Zoloft. Zoloft can be taken on an empty stomach or within meals. Everyone reacts differently with different side effects when taking antidepressants. However, experts advice that SSRI drugs like Zoloft should be taken in the morning. The reason being that this class of antidepressants can cause disruption in sleep and can make people feel more energized especially when starting the medication. Storing Zoloft is very important to avoid reactions or expiration. Store Zoloft in a closed container at room temperature. Avoid heat, direct sunlight or any form of moisture. Keep out of the reach of children and avoid keeping expired medicine around. When disposing of, ask a doctor about how to properly dispose of this medicine. When starting Zoloft, it is highly recommended to avoid alcohol. A patient should inquire from a doctor before taking painkillers, nonsteroidal anti-inflammatory drug for arthritis, fever, swelling, etc. Other drugs include aspirin, ibuprofen, naproxen, celecoxib, diclofenac, meloxicam, etc. Using these drugs with Zoloft may cause patients to bruise or bleed easily. 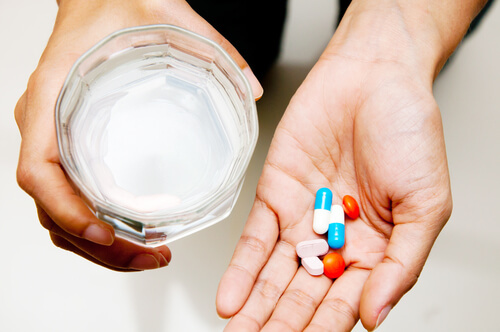 When taking certain medications, it can interfere with sertraline. Patients should also inquire from a medical doctor before taking sleeping pills, medicines for anxiety, muscle relaxer or drugs for seizures. Also, Sertraline can interact with medical cannabis, over-the-counter medications, vitamins, and supplements. Patients should inform their doctors about all current medicines or medications that was started or stopped. When on Zoloft medications, coordination and reactions might be impaired. Patients have to be very careful when driving or actions that require them to be alert. When a person is starting Zoloft, it may take about four weeks before a patient can start seeing results. They should keep using the medicine as prescribed by the doctor and should report if they don’t see any sign of improvement. Patients should also report any symptoms they experience to a doctor when on medication. If you or someone you love have any inquiries about the procedures involved in taking Zoloft, please call our helpline (888)-459-5511 to assist you. Our support team is available 24/7 to help you and provide any information you want to know. Please remember, all phone calls are always important, confidential, private and secured. If I started to again I have side effects again or not? And after 1 month its work or no?